I am unashamed to be an ardent Star Trek fan. Not quite a Trekkie, but I am sure my evolution to becoming one will take shape in its own time. I feel that Roddenberry was not only a trail-blazer and well ahead of his time on so many levels, but also a bit of a prophet in his vision of the future. And I am very fond of Majel as she was a dedicated wife and mother, and the first lady of Star Trek. The couple met in 1961 and by 1969 the couple finally married in a Shinto Buddhist ceremony in Japan (neither of the pair subscribed to any particular religion). Majel Barrett is probably best known as the voice of the computer and Nurse (later Doctor) Chapel. 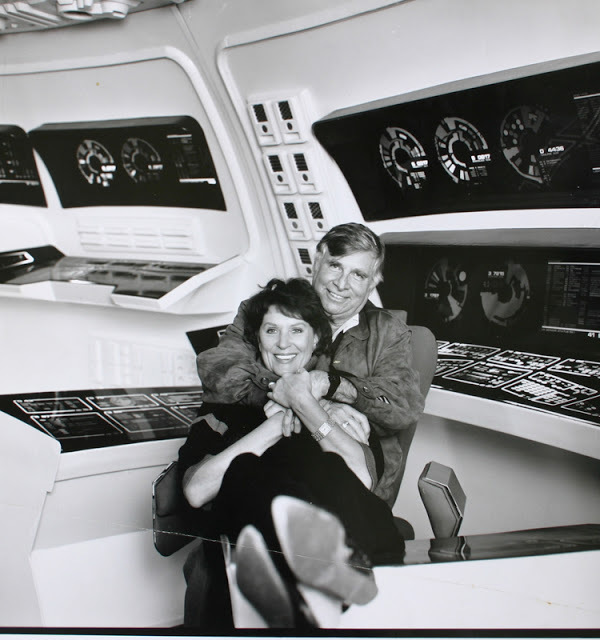 Barrett and Roddenberry collaborated on countless endeavors that were directly and indirectly linked with the Star Trek Franchise. Roddenberry died of a heart attack on October 24th 1991. Gene was survived by his wife Majel, son Eugene Roddenberry Jr. and his two grown daughters from a previous marriage (Dawn and Darleen Roddenberry) and two grandchildren. Majel remained an active and vocal part of the Star Trek franchises and continued to make appearances throughout the many series. Majel passed away in 2008. I’ll always remember her best as Lwaxana Troi, the eccentric and involved mother of the Ship counselor Deanna Troi on the USS Enterprise captained by my all time FAVOURITE Star Trek captain ever: Jean Luc Piccard. 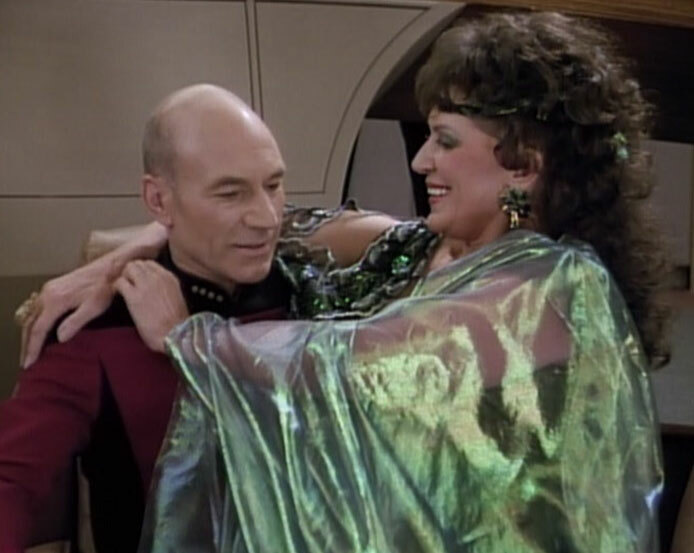 Lwaxana often made unrequited advances toward Jean Luc, and their relationship was a source of great amusement for me growing up. Gene and Majel will be blasted into space together in 2014. The pair will be accompanied by messages from cast, crew, fans and suporters of the Star Trek franchise. How unbelievably cool is that! Most people know this beautiful story. Walk the Line is one of the all time best songs ever written. 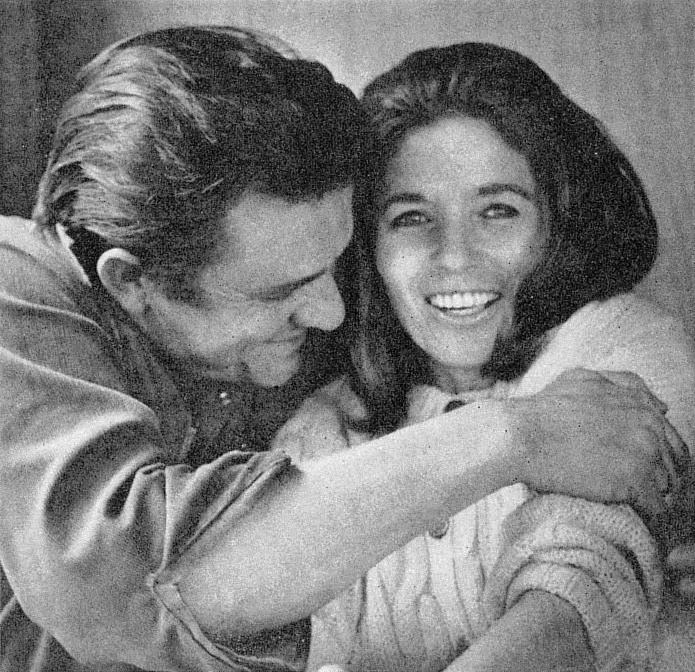 And you know what… because of her, he did walk the line. He cleaned up after years of battling with addiction. Love their story. Always in awe of the legacy that their music left, and how many borders and genres it crosses, and how many souls it touches and lives it affects. Thanks guys. I mean that. I thought it was important to put a couple in that was less than conventional by Orthodox standards. 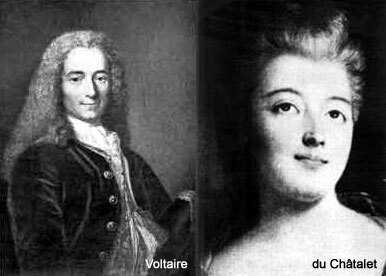 Voltaire and Emilie were not married, and continued their long and fruitful romantic, physical, intellectual and professional relationship under the watchful eye of Emilie’s patient husband (an arranged marriage which she was very fortunate to have made) Marquis Florent-Claude du Chastellet-Lomon). They had so much in common, not the least of which was a mutual respect and insatiable quest for knowledge. They agreed on many things, and when they did not, they seemed to carry on an amazing and genuine respect for one another regardless. Emilie was, inadvertently perhaps, a staunch feminist. Thanks to her father’s salons, genius, and liberal and logical views, Emelie was one of the few women of the time to receive a higher education. She was supported and admired by men throughout her life. Treated as an equal. And left a legacy that far surpasses her prolific repertoire of published works. Throughout the passionate and long lived affair the couple were entirely indiscreet (even by the dismissive standards of the French court). They were renowned for their public displays of affection and their assertion that “rules were for other people”. They met each others’ match in every sense and had a beautiful and awe inspiring Love. They both knew countless languages and were prolific at maths, science, philosophy, everything really. When they fought. They fought in English! I LOVE THAT! If I was a massive intellectual, multilingual superhero, I think I’d fight in either French or German. 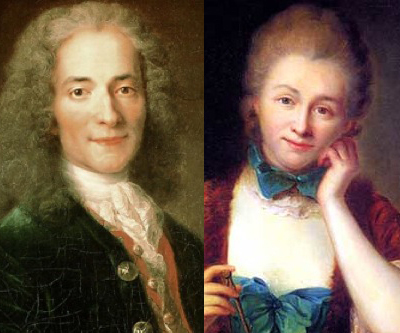 Voltaire and Chatelet were not a conventional or monogamous couple. They both took many other lovers and Emilie died giving birth to a daughter that was the result of an affair with the poet Jean François de Saint-Lambert. The child died roughly 18 months later. These two were another notorious couple of PDA lovers. The Russian court did not lend itself to affection or any weakness, perceived or otherwise. By many accounts, Alexandra was a bit of a bully. 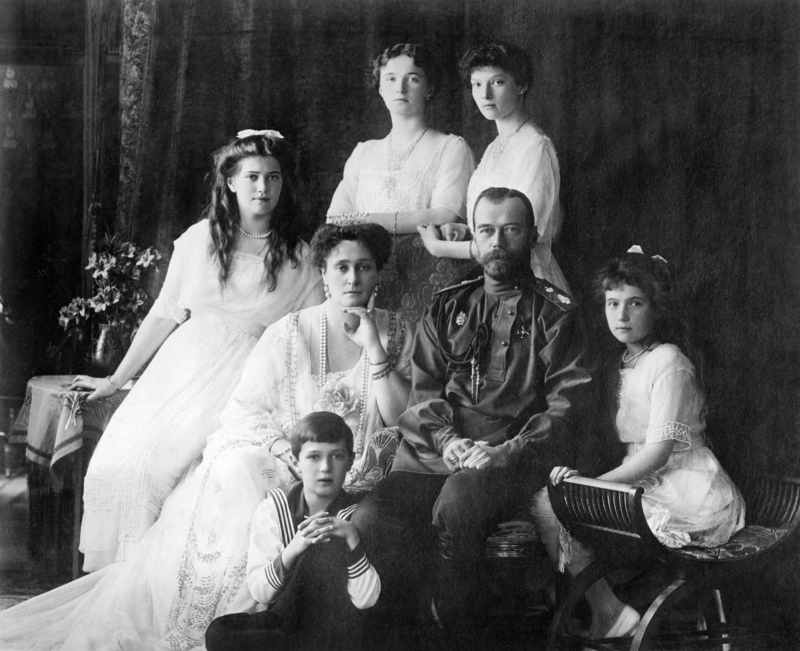 Many of us remember learning about the Russian revolution, and the execution of the entire Romanov family, orchestrated by Rasputin, who was invited in by Alexandra as an act of desperation to save her heamophiliac son. Nicholas was utterly dedicated to his socially awkward and overly ambitious and enthusiastic wife. Alexandra, aware of her alienation set about to becoming more Russian than Russians in order to win a place in the hearts and minds of the court and the people. Nicholas did try to appease his country and his wife. Many accounts portray him to be a gentle family man. Not interested in the lavishness of court or hungry for power or influence. Alexandra, however, had different ideas on these matters. Sadly, without the support and owing in no small part to her prickly personality, her plans never did pan out. These two adored each other. Nicholas was a sweet and dedicated husband to his arguably pushy and misguided wife. He Loved her, probably knowing full well, that most people did not feel the same way. 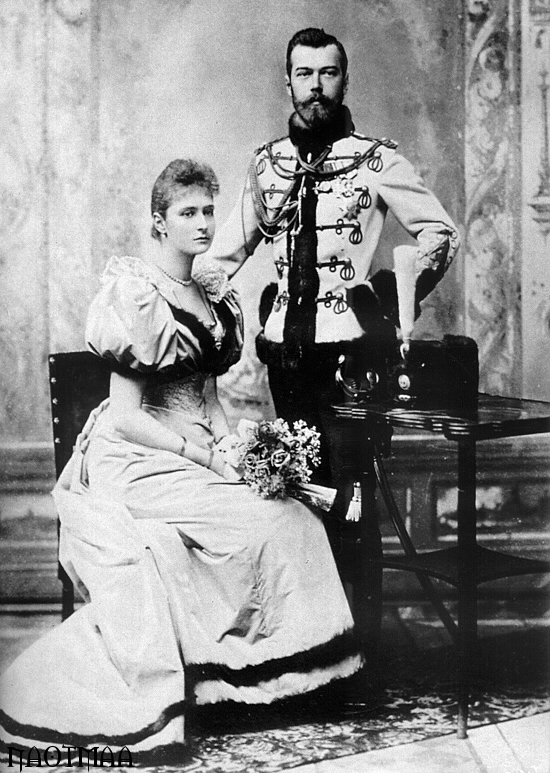 The tragedy of their story to me is not her unsuccessful quest for power and repute, but the fact that they would have been a perfectly happy and normal couple had they not been cursed with the burden of royalty. Having greatness thrust upon them and being prey to a tragedy of errors and circumstance ripped them from a long and healthy life together as a family which they no doubt would have enjoyed had they been born to more common stock. Sigh. That’s the thing about history isn’t it… We can look back a century later at the what-ifs and re-create a happier ending for the protagonists in our own minds. Tune in later this week for my first instalment of “Leading Ladies in my Life” where I’ll tell you all about a couple of Lawyers Ladies I know and how much I have learned from their friendship and influence. Have a great rest of the week everyone. And THANK YOU THANK YOU THANK YOU for reading!